There's been a lot of news recently about how people are checking in less with location-based services for a variety of reasons: lack of adoption, the task of having to check in everywhere you go, privacy conerns, or just burning out and thinking it's dumb. I think those people are being ridiculous. I still check in everywhere I go and my check-ins are automatically aggregated to my site whereswatilo.com (a take-off on Where's Waldo, since Watilo - pronounced "waddle - low" - is my last name). I don't buy into a lot of what Foursquare has tried to do (like giving badges to incentivize check-ins). I just check in because I think it will be cool to analyze the data in the future. WeePlaces is one such site that analyzes and plots check-ins. The video below shows some of the places I've checked in according to WeePlaces. I just think people are being short-sighted when it comes to the potential of what can be done with the data. My buddy Christopher Gooley created Whirlfood, a site that analyzes my food check-ins. It allows me to rate places I've been and shows me suggestions based on my ratings. 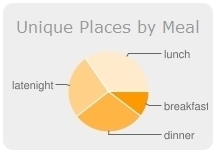 There are also all sorts of metrics like when I usually eat (apparently I eat out at lunch a lot), my food to nightlife ratio (a lot to very little), and what days of the week I usually eat out the most. It's pretty cool. Check out my public Whrifood profile here. Some people complain about the privacy issue that comes along with sharing your location. But really, what's the big deal? Did you know that private investigators tracked people down without Foursquare? Turns out, it's pretty easy to find people without all these new tools. And it's not like I have the mob hunting me down anyway. I don't have any enemies and no one I'm hiding from. I think the benefits of checking into places outweigh any potential drawbacks. 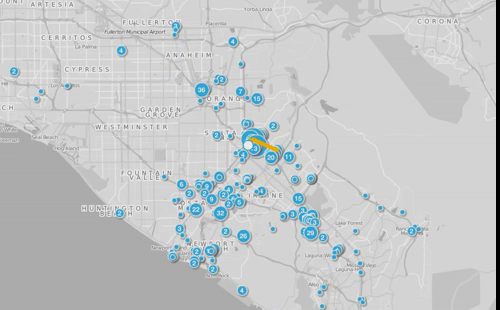 Soon there will be even more cool location analytics apps come out. And if you're not checking in now, you're going to miss the benefits in the future.